We’re celebrating our 3rd birthday like the Gods and the athletes! Come on in to see who’s going to be bronze, silver, and gold in our bar games! We’ll have pool, darts, corn hole, shuffle board, and hammer schlagen competitions! Tons of prizes to win, and don’t forget the grand prize we have for winning our raffle! 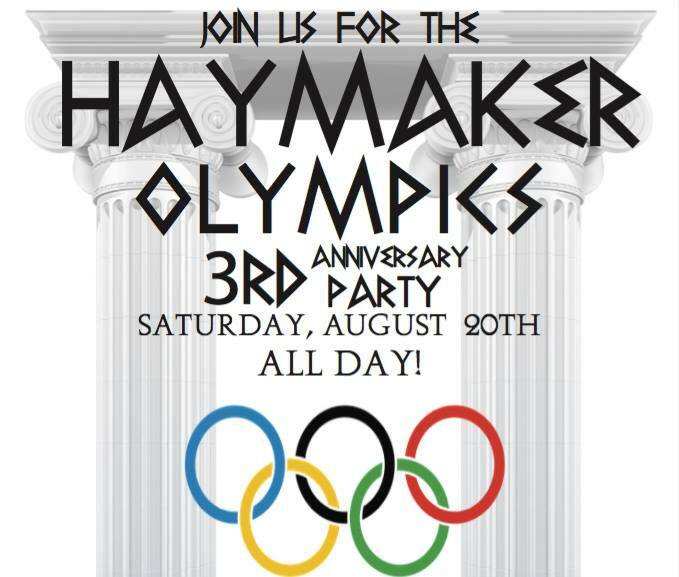 We’ll have drink specials & food specials for the day and the olympics playing all through out the month until it ends with our party! Who’s going to be the gold winner of Haymaker?